Lt. Comdr. Liberty D. Nicholson, son of Mrs. T.O. 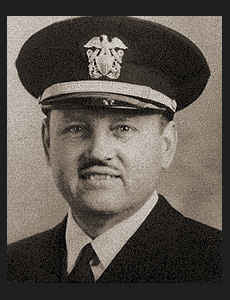 Nicholson, graduated from Frederick High School and CSTC, Edmond; husband of the former Margaret Ann Gower. Entered Navy in 1942, trained in Ohio State Univ. ; is now on duty in Memphis, Tenn. Awarded Am. Theatre and Victory Ribbons.